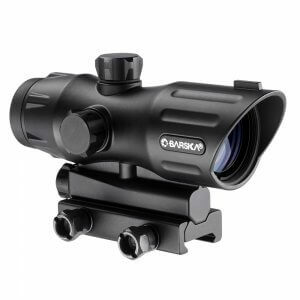 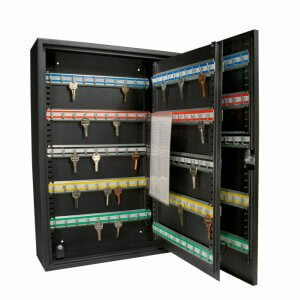 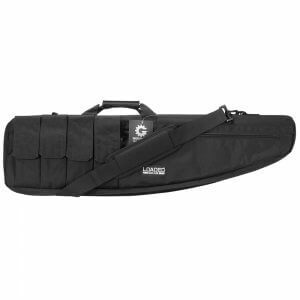 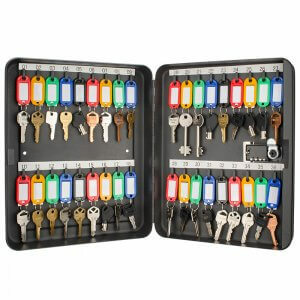 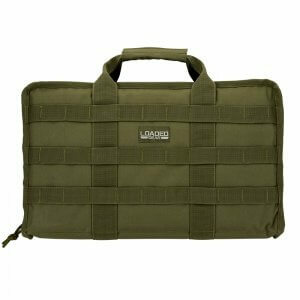 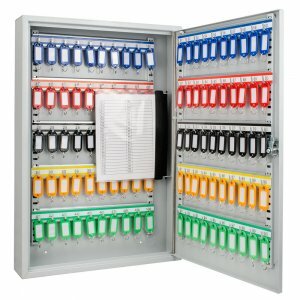 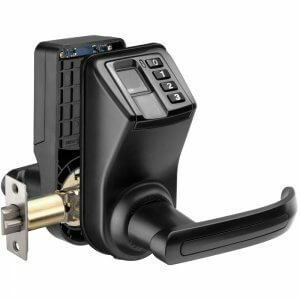 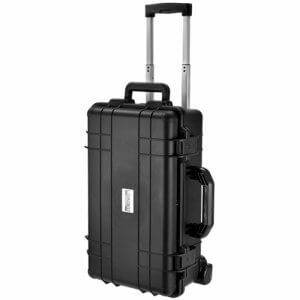 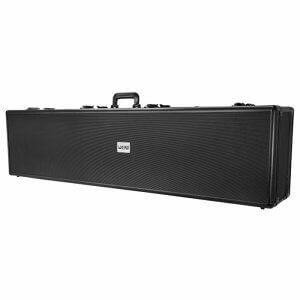 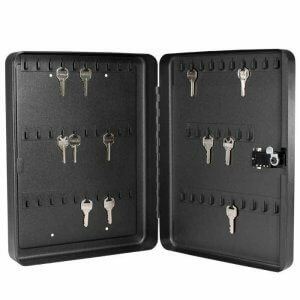 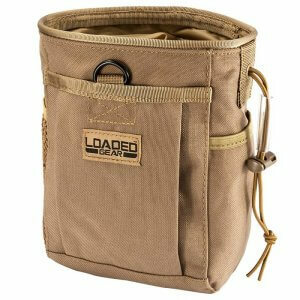 The 150 Position Key Lock Box from Barska features a hook-style cabinet that makes key organization easy and convenient. 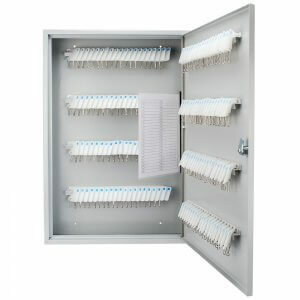 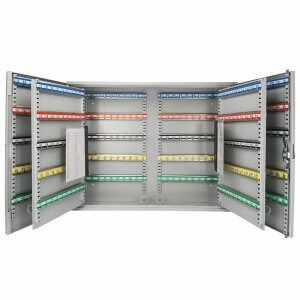 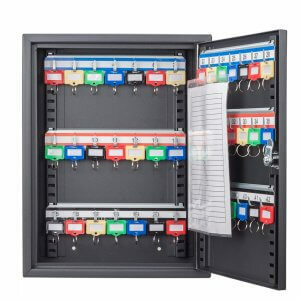 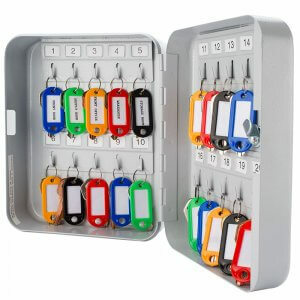 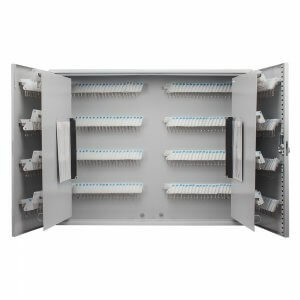 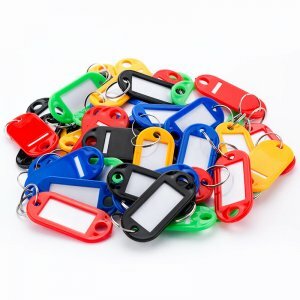 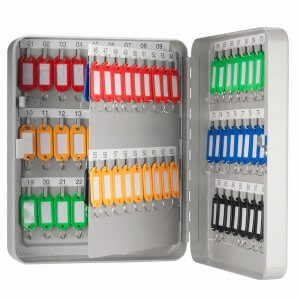 Inside the cabinet are six rows of color-coded and numbered hooks, each of which is easy to access and keep track of thanks to the included key index. 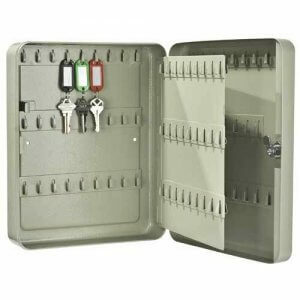 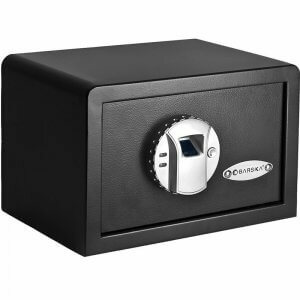 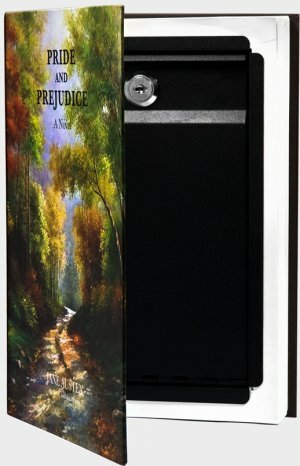 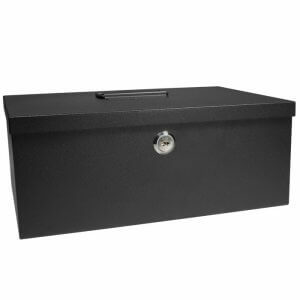 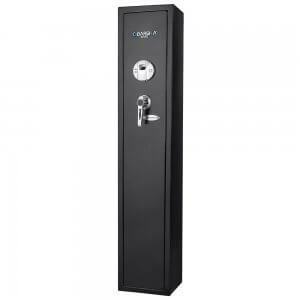 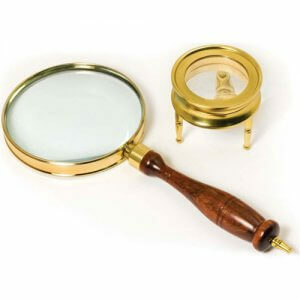 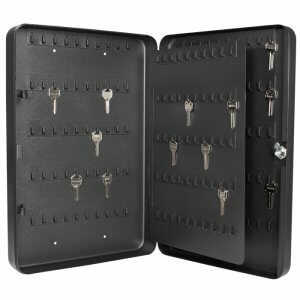 The two-sided indexing chart has ample room to document the keys hook position corresponding lock, and a drop-in plastic sleeve tethered to the hinge inside the safe provides a hands-free reference.The safe has our pre-drilled mounting holes and included hardware for installation.The safe walls and door are constructed of 0.8mm solid steel and finished with a matte black coating.